What better time to explore all of the great regions of the U.S. than on its birthday. 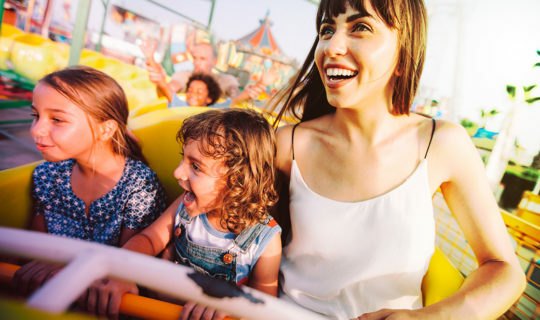 Finding the best Fourth of July vacation destination for you and your family can be tricky to plan, coordinate, and afford depending on your destination, but Discover Personal Loans may be able to help. If part of your summer plans including consolidating some lingering debt, maybe doing some important home repair and capping it off with a great trip, a personal loan could come in handy. As for the holiday that would come to be known as the Fourth of July, or Independence Day, John Adams excitedly wrote to his wife Abigail in July 1776, “it ought to be solemnized with pomp and parade, with shows…and illuminations, from one end of the continent to the other, from this time forward forever more.” If only he could see the celebrations we have today! These five Fourth of July destinations would do Adams proud. Get in touch with American history at the North Carolina 4th of July Festival. South Port has held continuous Fourth of July Festivals for over 200 years and is a great representation of the charm of main street America.Between 40,000 and 50,000 people come each year to celebrate here.In South Port you’ll find the true, hometown spirit of this patriotic celebration on full display. Highlights include the annual parade down Howe Street, live entertainment at Waterfront Park, children’s games at Fort Johnston Garrison Lawn, and even a Naturalization Ceremony at which the community welcomes its newest citizens! Home to the largest concentration of military personnel in the country, it’s no wonder that San Diego is on our list of best Fourth of July vacation destinations.The patriotism is palpable at San Diego’s Big Bay Boom fireworks, some of the most impressive pyrotechnics you will ever see. If you plan far enough in advance, you can even watch the sky light up from the deck of the USS Midway. Be sure to hurry though, as those tickets sell out every year.Plus, San Diego is home to a number of attractions and theme parks in addition to the world-famous San Diego Zoo. There’s no shortage of options to keep you entertained! Not many cities in the country, or even the world, know how to throw a party quite like New Orleans.New Orleans is one of the liveliest Fourth of July destinations out there. During the day you can stroll through the French Quarter and the Garden District, visit world-class museums like the National WWII Museum and the New Orleans Museum of Art, or take guided tours through the historic city.And then at night you can enjoy the Go 4th on the River celebration, featuring dueling barges packed full of fireworks. You can even get a ticket to watch the display from a paddle boat out on the Mississippi River! More than 75,000 people annually attend the Red, White, and Boom fireworks and Fourth of July celebration in Minneapolis. There are a number of different spots from which to watch the fireworks along the city’s beautiful riverfront. Sites like the Stone Arch Bridge, Gold Medal Park and Nicollet Island, prove there really isn’t a bad view. The festival includes tons of family-friendly fun like live music, tasty food and lots of organized games and activities.Or if you’re in the mood for something a little quieter and want to set your own pace, you may consider spending the day at Lake Calhoun. There you can grill out, relax on the beach, go kayaking and still have a great view of the fireworks display. If history is your thing, the best Fourth of July vacation for you may well be where it all began, Philadelphia! Spend time sightseeing in Philadelphia’s historic district to get up close and personal with some of the most important sites in American history, including Independence Hall where the Declaration of Independence itself was signed. Be sure to plan carefully though, the Wawa Welcome America festival spans the whole week leading up to the Fourth of July. It is packed with activities to enjoy before the big fireworks display puts a feather in the town’s cap and calls it macaroni. No matter which one of these great Fourth of July destinations you choose, one thing is for certain: you are in for one spectacular time. Visit our Vacation Loans page to learn how Discover Personal Loans can help finance your trip if you need the funds fast to book your reservations.